We were there in Bhuj in the third day of our trip to Gujarat. By the time, we had decided to limit our journey to Bhuj itself. Gujarat is a vast state and the cultural heritage of the state is as rich as its history. So it was not possible to visit the entire of Gujarat in such small time. Moreover Bhuj is a perfect place for catching a glimpse of the entire of Gujarat if you have less time. 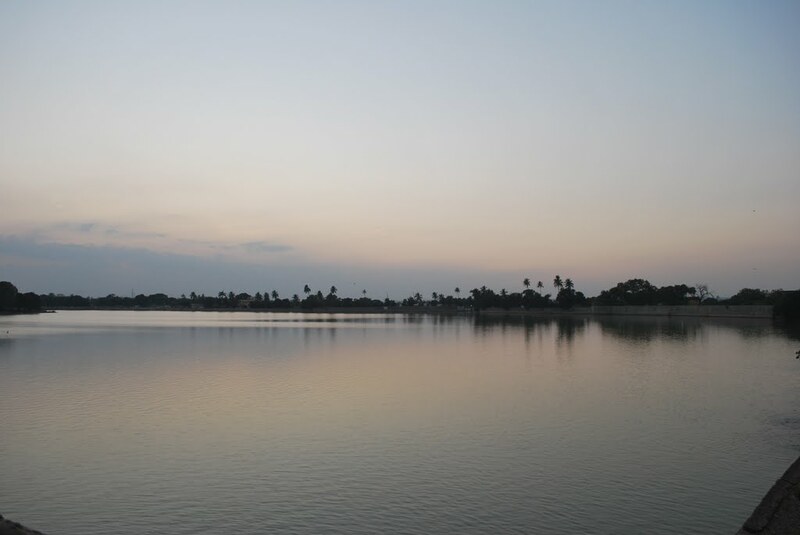 So in the third day we planned to make a trip to the Hamrisar Lake in Bhuj. It was afternoon and we finished our lunch in our hotel. After lunch we started heading towards the Lake Hamrisar. 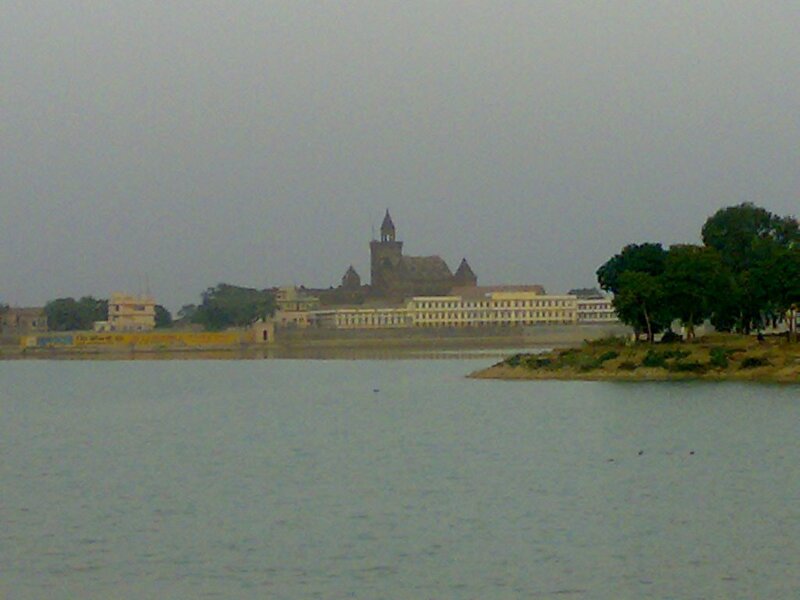 The lake is artificial and built by human about some 450 years ago by Rao Hamir in Bhuj. The different canals are brought together where several other tunnels are made. The entire power supply of Bhuj is done from the Hamrisar Lake from where water is converted to electrical energy. The lake is spread over a large area of 28 hectares and acts as a perfect picnic spot for the local people and guests from outside. Beside the Lake of Hamrisar, there are other monuments of Bhuj like Aina Mahal, Prag Mahal, Alfred School, The Black Hills, Royal Chhatardis, Ramkund Stepwell, Ram Dhun temple, Chhari Dhand, Khavda, Kera, Sharad baug Palace, Swaminarayan Palace and Kutch Museum. One can enjoy a quality time by spending the entire day with family and friends and visiting all the beautiful places near and around Hamrisar Lake. The lake has a beautiful garden at its center and the garden is surrounded with water bodies from all the sides. The shades of the trees make the sunny afternoons quite becalming and soothing. People are seen in large gatherings enjoying the restful weather, strolling near the lake, both in the evening and morning hours. The walking area near the edges of the lake provides a beautiful escape from the hustle and bustle of the city life. Our day was quite soothing and we felt nonchalant everywhere. 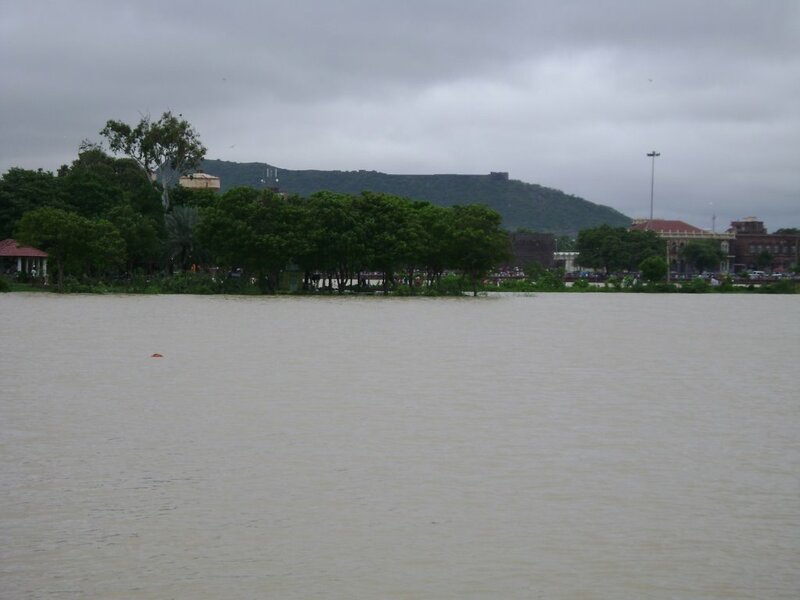 This entry was posted in Attraction, Beach, Travel and tagged hamirsar lake in bhuj. Bookmark the permalink.